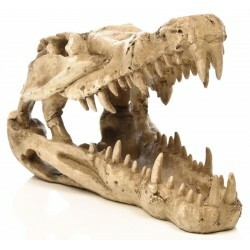 Wholesale Terrarium Ornaments - The Serpentarium, Inc.
Exo Terra's Dinosaur Bone provides a secure hiding place for small reptiles. 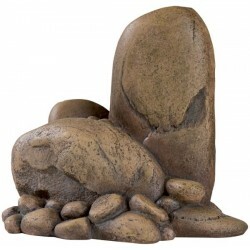 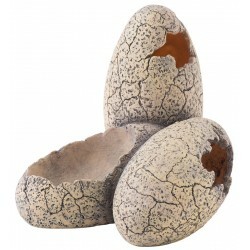 Exo Terra's Dinosaur Eggs with Water Dish provides a secure hiding place with a built-in water dish. 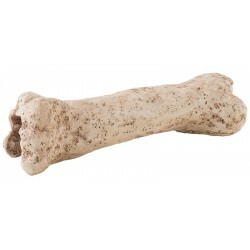 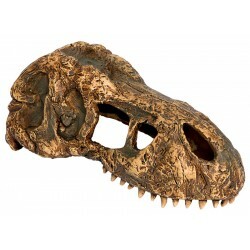 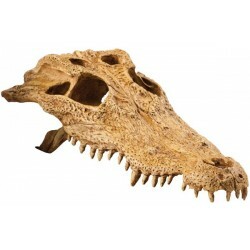 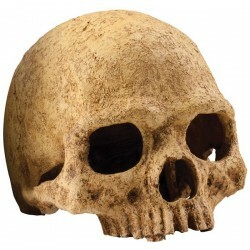 The Penn Plax Crocodile Skull Aquarium Decoration is a realistic replica of a bone skull. 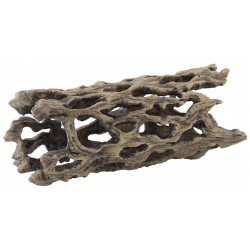 The resin is great for aquariums and reptile habitats, giving a real swamp or marsh feel to your terrarium. 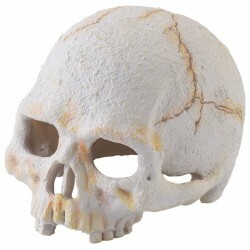 The Exo Terra Skull hides are extremely realistic and add an exiting accent to any type of terrarium, desert, rainforest or aquatic. 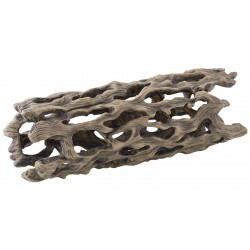 These hides offer multiple entrances for easy access and add an extra dimension to the terrarium setup. 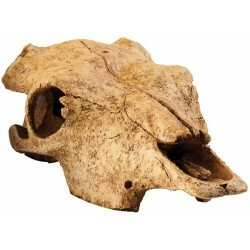 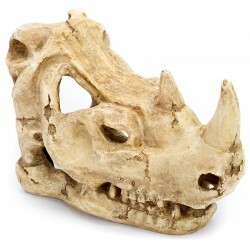 Size: 4" x 3" x 3"
The Penn Plax Rhino Skull Aquarium Decoration is a realistic replica of a bone skull. 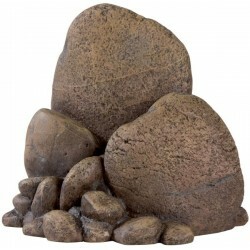 The resin is great for aquariums and reptile habitats, giving a real desert feel to your tank. 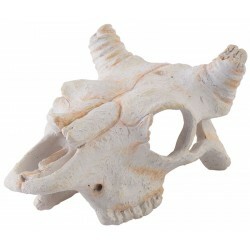 The Mini Exo Terra Skull hides are extremely realistic and add an exiting accent to any type of terrarium, desert, rainforest or aquatic. 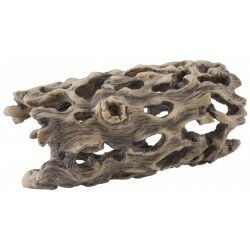 These hides offer multiple entrances for easy access and add an extra dimension to the terrarium setup. 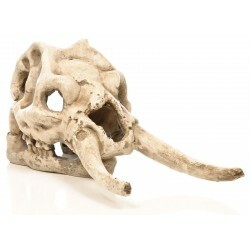 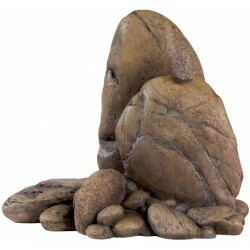 The Penn Plax Wooly Mammoth Skull Aquarium Decoration is a realistic replica of a bone skull. 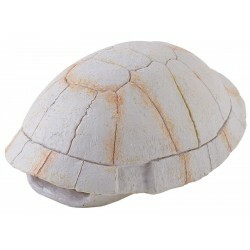 The resin is great for aquariums and reptile habitats, giving a prehistoric feel to your terrarium. 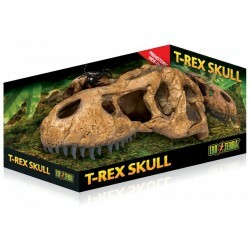 Exo Terra's Tortoise Skeleton provides a secure hiding place for small reptiles.